"Jeannie Cho Lee" has rated the wine "Chateau Canon, Saint-Emilion Grand Cru, France" from the vintage 2006 on 01.04.2016 with 91 of 100 points.
" This Canon is ready to enjoy now with supple, firm tannins and ripe red plum flavors. Balanced, soft, easy to enjoy but should keep for the coming 8-10 years. " "Jeannie Cho Lee" has rated the wine "Chateau Canon, Saint-Emilion Grand Cru, France" from the vintage 2014 on 01.03.2015 with 91 of 100 points.
" Subtle plum and dark berry fruit with a hint of spices. Not very complex, quite forward and harmonious. The flavors are layered and gentle with polished tannins. Approachable young - enjoy in 5 years. " 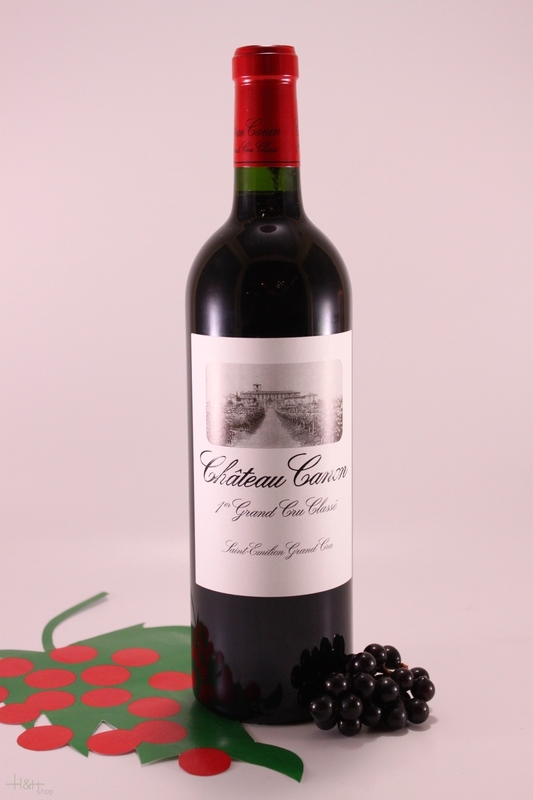 "Jeannie Cho Lee" has rated the wine "Chateau Canon, Saint-Emilion Grand Cru, France" from the vintage 2007 on 01.03.2015 with 90 of 100 points.
" An elegant Canon with dark plum, roasted herbs and spicy notes. The palate is beautifully textured with velvety tannins that are finely woven with subtle flavors and refreshing lift. The 2007 Canon is not an intense, concentrated wine, but one of balance and harmony. Delicious to drink now - the wine should keep for the next 6-8 years. " "Jeannie Cho Lee" has rated the wine "Chateau Canon, Saint-Emilion Grand Cru, France" from the vintage 2013 on 01.04.2014 with 91 of 100 points.
" Beautiful wine with violet and jasmine aromatics. The palate is silky with fine grained tannins. There is depth, subtlety and layers in this harmonious wine. Impressive in this difficult vintage. Tasted in: Bordeaux, France. Maturity: Young. " "Jeannie Cho Lee" has rated the wine "Chateau Canon, Saint-Emilion Grand Cru, France" from the vintage 1964 on 13.03.2014 with 96 of 100 points.
" This is the best Canon I have tasted thus far. It is supple, round and still fleshy and expressive. So youthful that I would guess it is only 20-25 years old. Sweet mid palate is seductive and belies its maturity. Long finish. Tasted in: Singapore. Maturity: Drink. " "Jeannie Cho Lee" has rated the wine "Chateau Canon, Saint-Emilion Grand Cru, France" from the vintage 2009 on 18.04.2013 with 94 of 100 points.
" A gorgeous red that borders on being over-ripe - flavours are sweet, filled with juicy plums and cedar. There is a wonderful core sweetness and generosity that makes this wine very appealing. Drinkable now even though it is quite young. Tasted in: Bordeaux, France. Maturity: Young. " "Gilbert & Gaillard" has rated the wine "Chateau Canon, Saint-Emilion Grand Cru, France" from the vintage 2012 on 08.04.2013 with 94 of 100 points.
" EN PRIMEUR - The nose shows huge aromatic precision and predominant black fruits with a slightly roasted coffee touch to the oak. The palate is delightfully classic in style with velvety tannins and nicely-restrained concentration. A very successful Canon in this vintage. " "Jeannie Cho Lee" has rated the wine "Chateau Canon, Saint-Emilion Grand Cru, France" from the vintage 2012 on 07.04.2013 with 91 of 100 points.
" A beautiful wine with gorgeous velvety texture and great depth. Layered, fairly dense with an array of flavours - plums, blackberries and hint of cedar. Lovely texture and length. Tasted twice, this wine showed well both times. Tasted in: Bordeaux, France. Maturity: Young. " 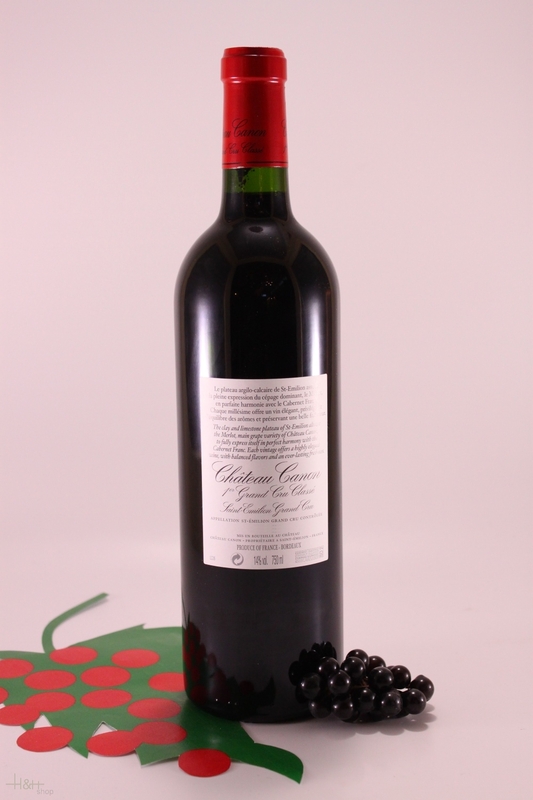 "Jeannie Cho Lee" has rated the wine "Chateau Canon, Saint-Emilion Grand Cru, France" from the vintage 1989 on 06.04.2013 with 91 of 100 points.
" Supple, juicy with wonderful layers of flavours and depth. This is a structured Canon with firm tannins and ripe flavours. The wine is at its peak and should keep for another 8-10 years. Tasted in: Bordeaux, France. Maturity: Drink. " "Gilbert & Gaillard" has rated the wine "Chateau Canon, Saint-Emilion Grand Cru, France" from the vintage 2011 on 10.05.2012 with 95 of 100 points.
" EN PRIMEUR - Deeply-coloured crimson with purple-blue. The nose opens to to crunchy fresh red fruit with subtle oak. Full attack that is concentrated yet velvety. A powerful, mouth-coating and warm style that is firmer on the finish. Good power-driven harmony. " "Jeannie Cho Lee" has rated the wine "Chateau Canon, Saint-Emilion Grand Cru, France" from the vintage 2011 on 01.04.2012 with 88 of 100 points.
" A generous, tannic Canon with subtle flavours and firm tannins that will take some time to come around. However the layers of flavours suggest this wine should open up beautifully in 6-8 years time. Tasted in: Bordeaux, France. Maturity: Young. " Buy now this product together with Delicatess cheese Alpine Dairy Three Peaks loaf approx. 2 kg. ready for shipment: in stock Delicatess cheese Alpine Dairy Three Peaks loaf approx. 2 kg.